After the wild autumn storms, when mountain peaks are totally covered with snow fur hats and severe Siberian frosts are getting close to the last remains of summer warmth, the shallow lake waters are gradually being covered with steady firm ice and the winter Lake Baikal comes into the stage of freeze-up. 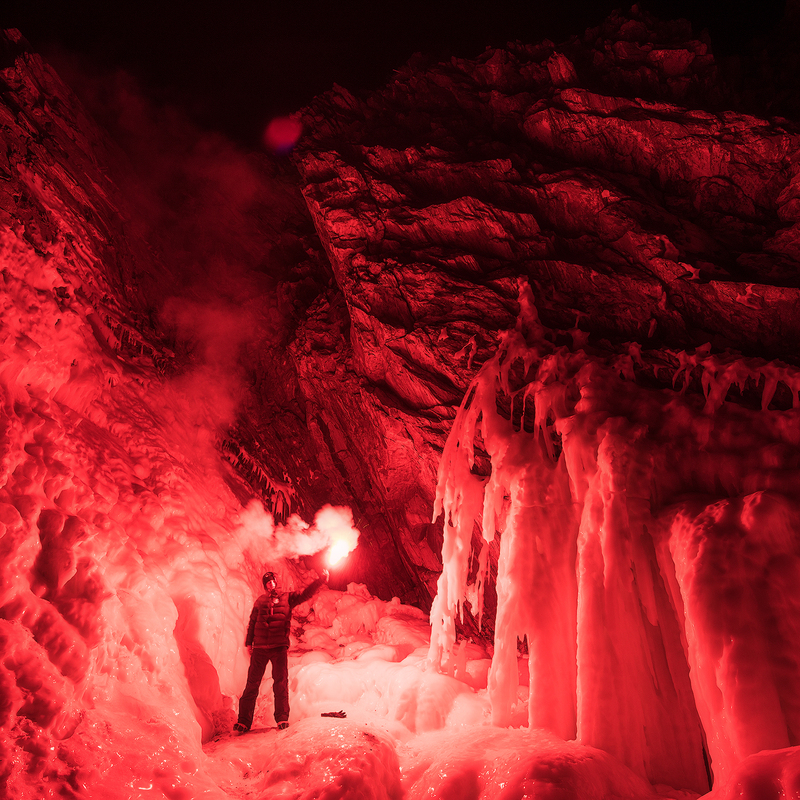 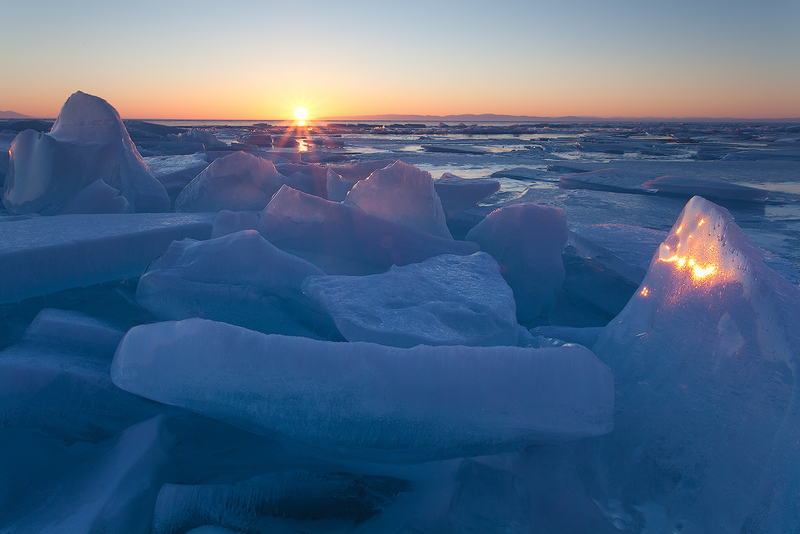 The ice-cold winds from the Baikal and Primorye mountain ridges swoop their powerful and heavy strikes on Lake Baikal sweeping all the snow from the ice cover to the eastern part of the lake, and the severe Siberian frosts keep growing the thick ice cover. 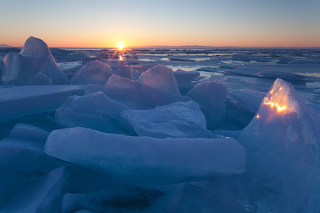 By the middle of February ice gets almost 1 metre wide. 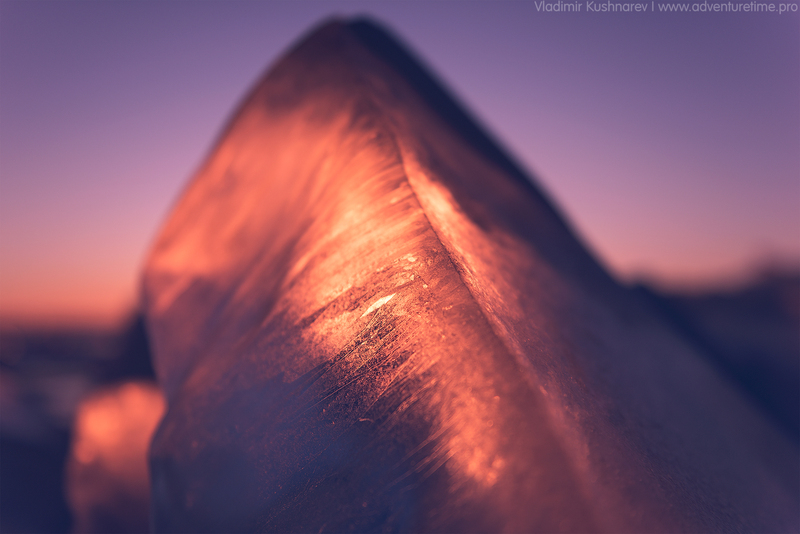 After that, the shy winter sun starts to shine on the ice surface getting stronger and stronger with the growing day, and Baikal ice shell, with no snow at all, turns into a fine polished mirror. 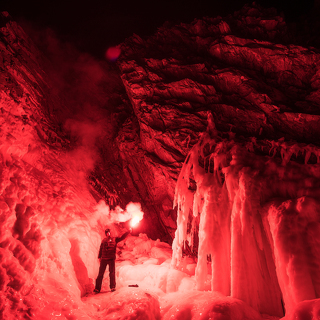 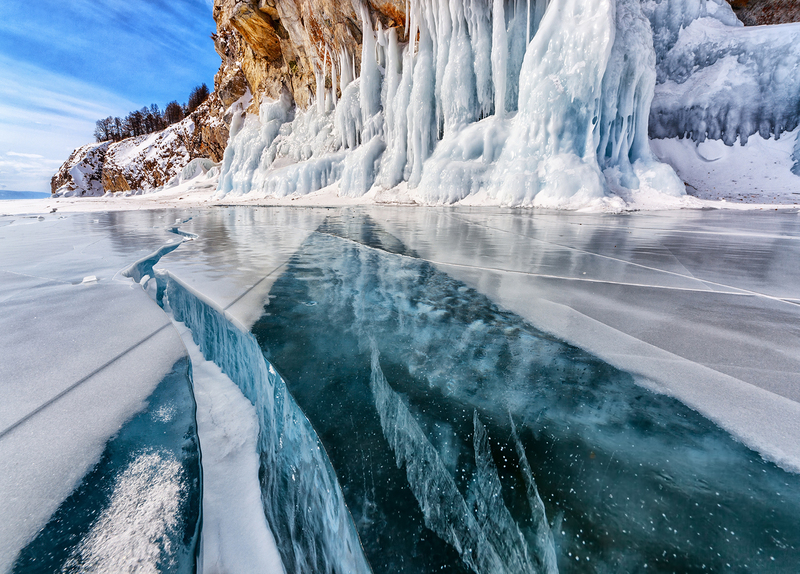 We suggest that you should leave the dull grey cities, squelching with the dirty snow custard, and set out for the sunny Baikal, to the kingdom of purity, the bright sun, fantastic ice statues, and gorgeously beautiful compositions made of icicles and splashes of ice. 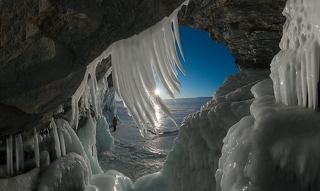 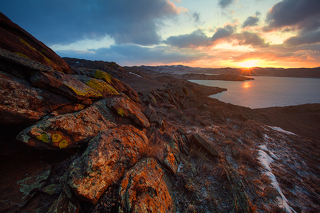 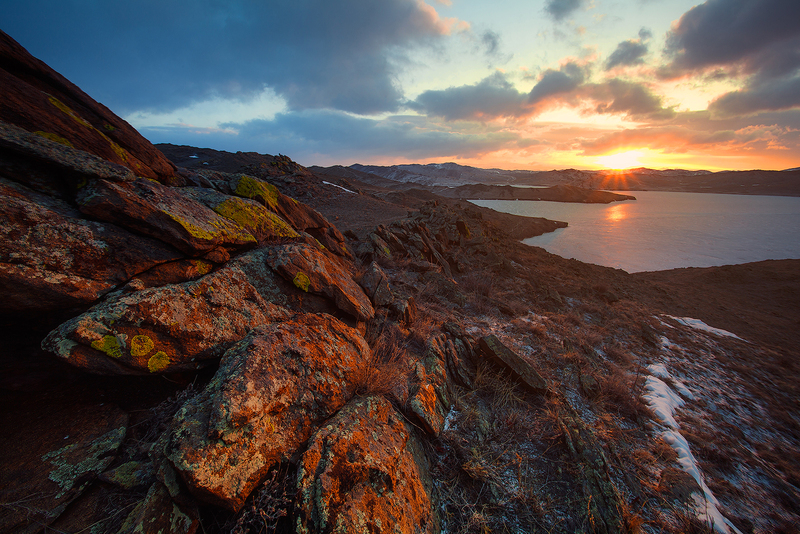 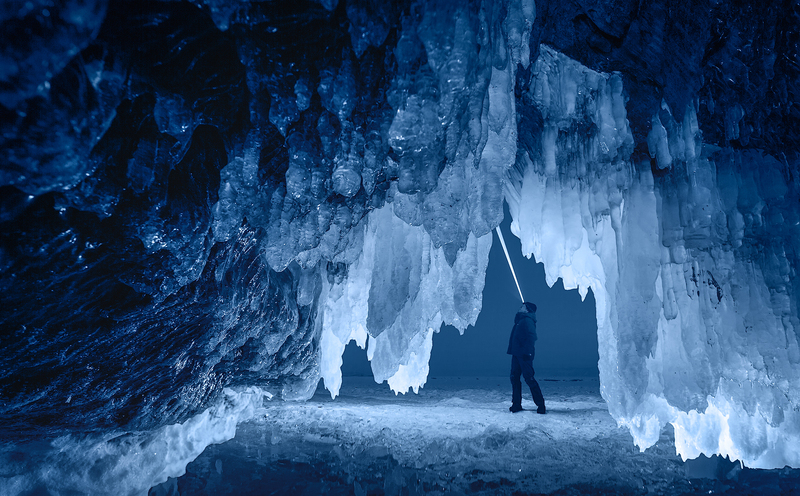 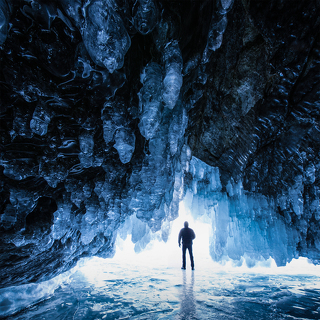 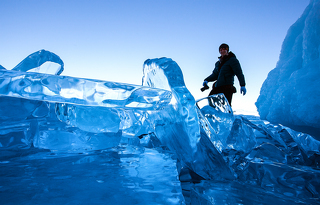 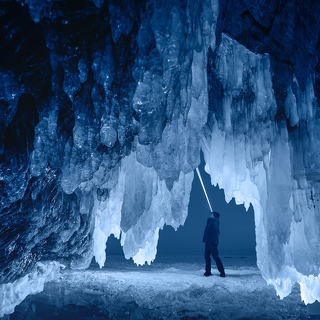 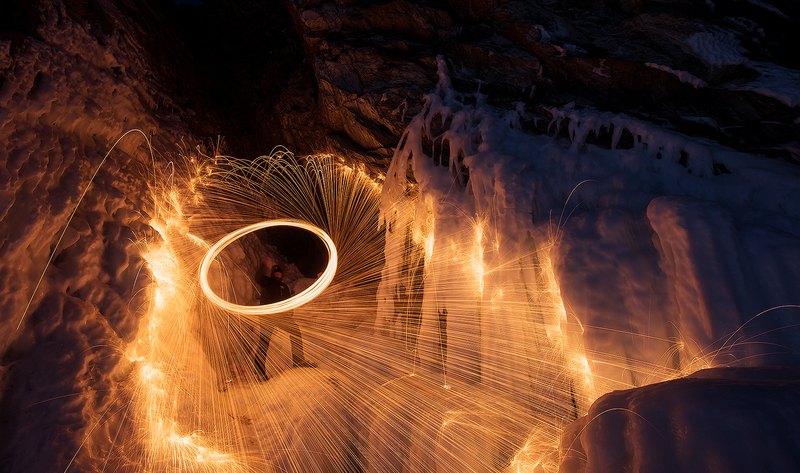 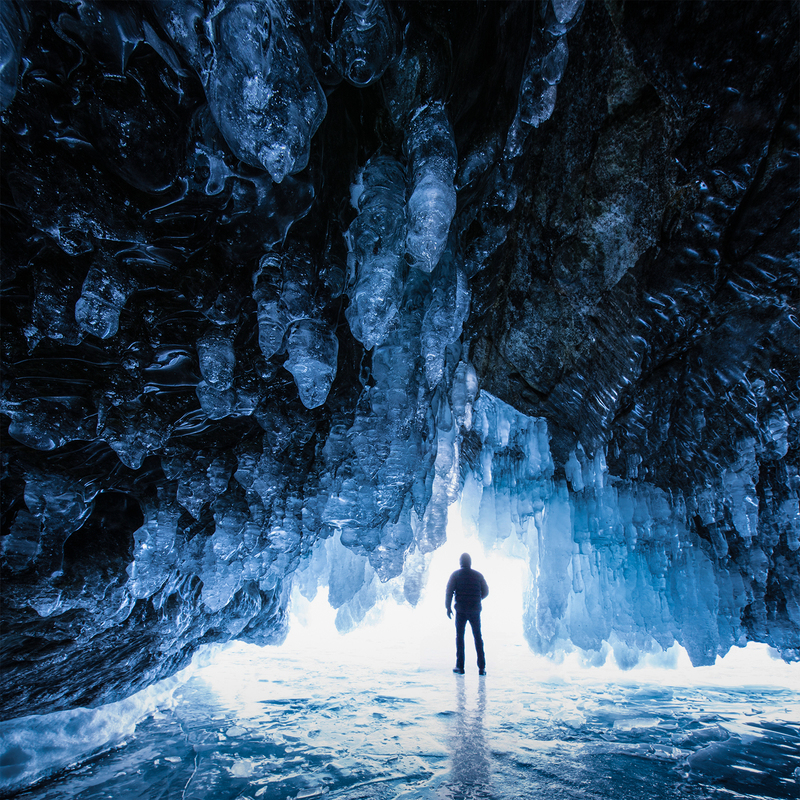 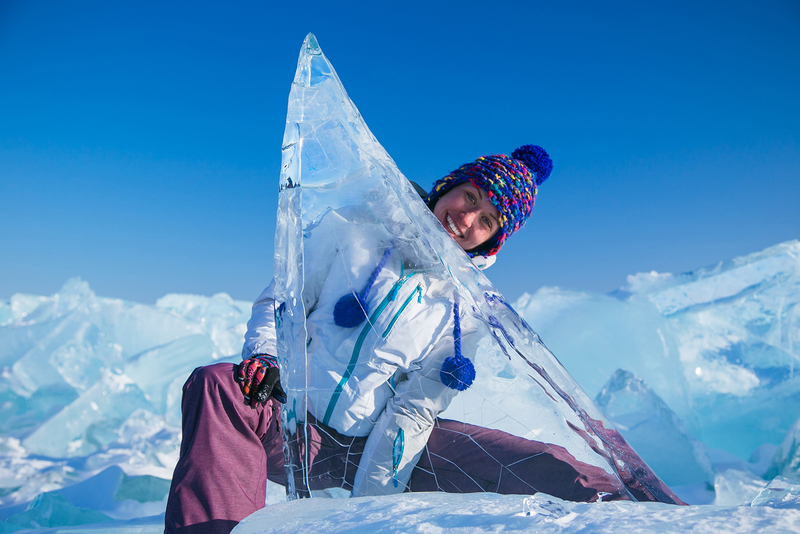 The end of winter is perfect to see the wonders of the winter Baikal from the ice. The sun is shining brightly like in the spring, and the day temperature rises above zero almost every day. 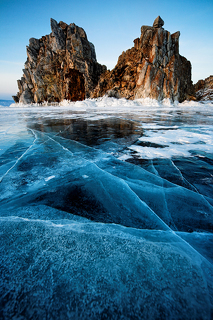 But the ice on Baikal is still hard and clear! 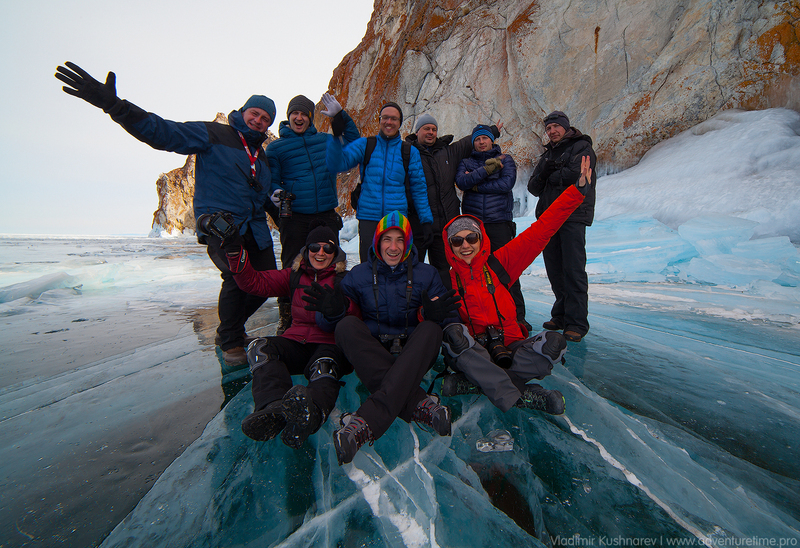 We guarantee loads of unforgettable impressions as the participants of our tour will be able to travel along half of the winter Baikal Lake, we shall have morning and night photo sessions in crystal hummocks by the most beautiful islands of the lake, we are going to visit Olkhon Island and take pictures on Shamanka Cliff and in the ice grottos of Cape Hoboy, cook fish soup with Baikal omul right on the ice of Baikal. 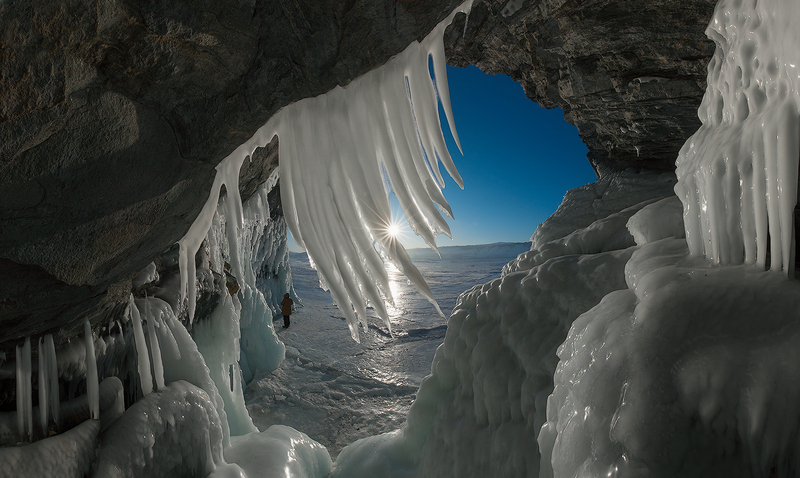 And for those who like active leisure we can offer skating on Baikal (as for the skates, we are going to bring them there for you). 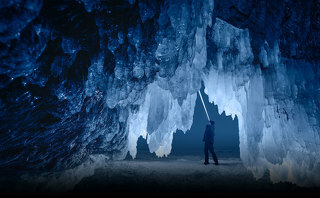 Are you still hesitating? 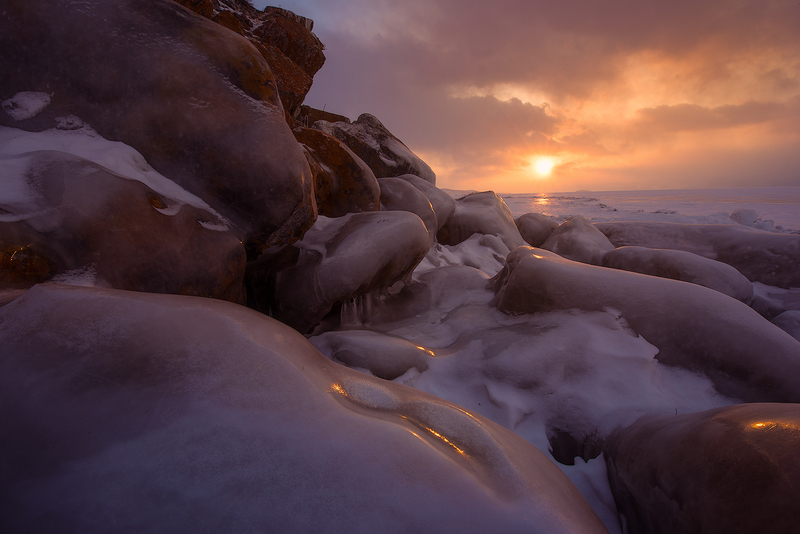 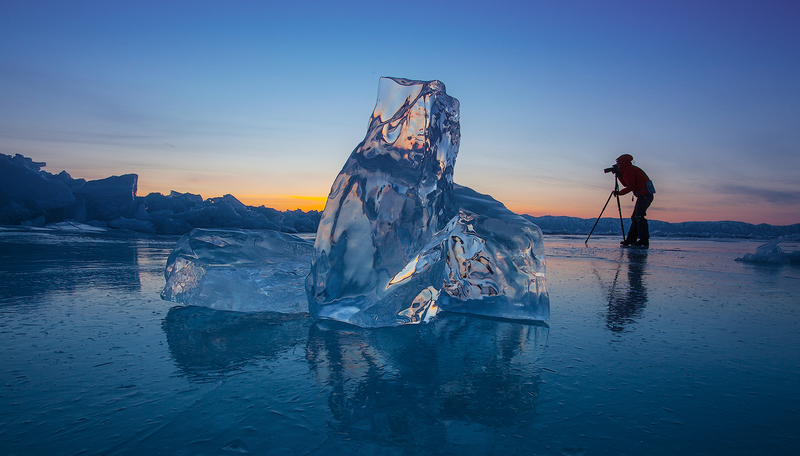 Then you'll have to watch the video about our Baikal photo tour made in March, 2016. All services not specified in "Included in the price".